Vinylmax windows is a mid grade manufacturer that operates out of Cincinnatti, Ohio. 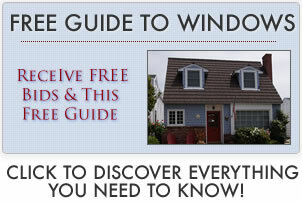 They have a number of window and door lines for builders, contractors and homeowners. They have two primary replacement options, Easton and Hyde Park. The Easton is their mid range vinyl and the Hyde Park is the higher end vinyl replacements. The company also offers storm and wood window lines. Vinylmax offers two replacement window lines, the Hyde Park and Easton. The Hyde Park is their higher end vinyl, while the Easton is a mid grade vinyl window. Vinylmax is in the middle of the cost range. Homeowners can expect to pay $300 to $450 each for Easton double hungs; this price includes some form of window installation. Homeowners can expect to $500 to $600 each for Sherwood Series wood frames. Read more on vinylmax window prices. Vinylmax has few reviews on the larger forums — here is a excerpt of a positive review from a window installer. Read more on Vinylmax Windows Reviews. This is their entry level vinyl window line, sold to builders, contractors as well as homeowners. This is offered as a replacement window or for new construction.